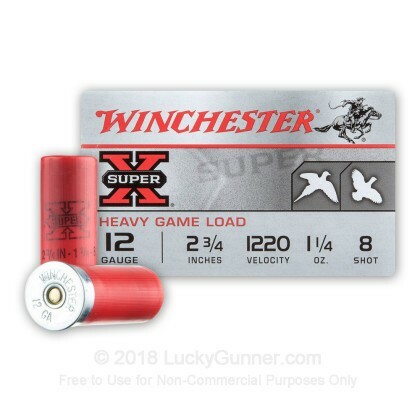 This cost-effective 12 gauge upland load from Winchester does a bang-up job against various types of small birds and other game. 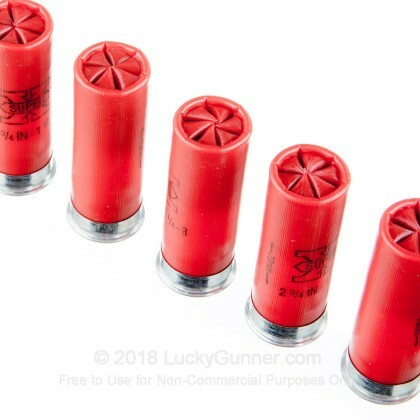 Each shell in this box of 25 fires 1-1/4 oz. 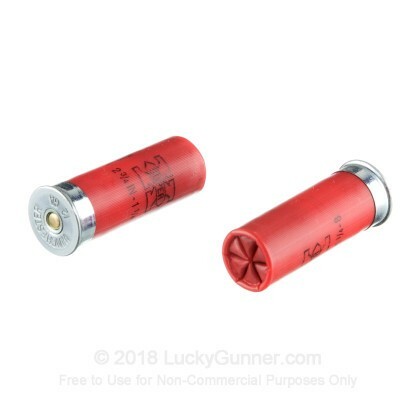 of #8 birdshot at a muzzle velocity of 1,220 feet per second, producing relatively mild recoil and good patterns out to medium range. 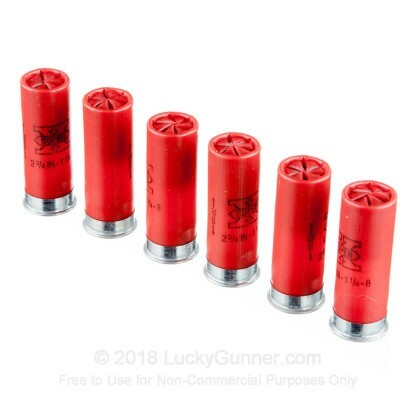 These shells are made in the USA and use Winchester 209 primers and one piece hinged wads to help enhance accuracy and reduce felt recoil. 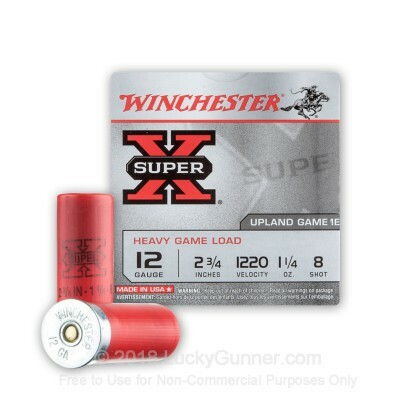 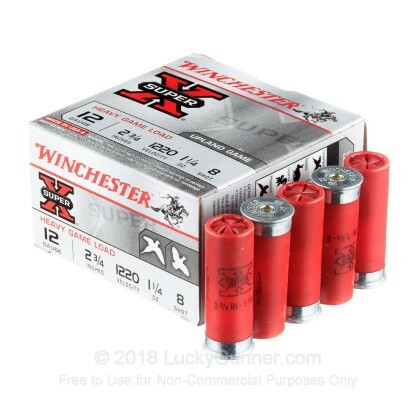 Winchester is one of the top ammo manufacturers in the world and produces shells and cartridges for almost every use from law enforcement to clay target shooting.